My name is Werner schijvenaars and I’m an Dutchman. If you’ve watched my photo’s, you probably noted my love of abandoned things. 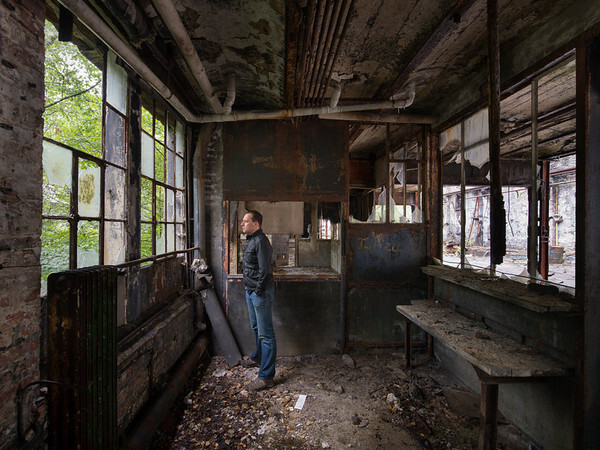 I spend my time looking for abandoned factories,theaters,schools and once glorious and proud buildings in decline, I sneak past the guards, or burrow under the fences, to slip into a location to see whats there and then sneak out again. It is my calling, my profession, and the thing that will undoubtedly drive me insane someday. Conscious of the world around me I shoot the forgotten traces of human presence and sometimes add people again. Working either on (abandoned) location or from the studio I don’t photograph subjects. I photograph the way they make me feel. Admittedly, it’s a bit strange but it's best way to describe my approach. my pursuit of new experiences pushes me to continually evolve my vision, while reminding me of the importance of carrying my camera with humor, compassion and curiosity. I am looking for uniqueness and wrestle with every image I shoot. I assume perfection is possible and I want to wring it out of every picture. If this is all you ever know about me, it’s enough to say you know me very well.